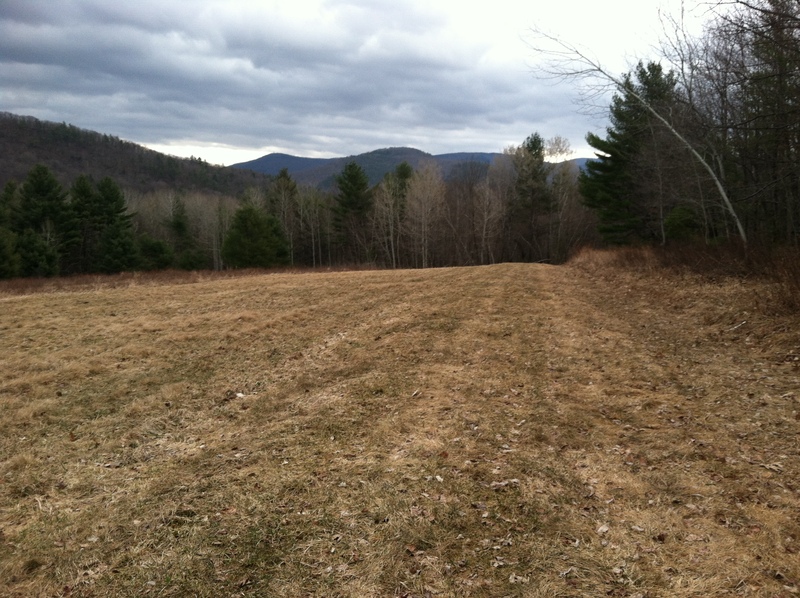 Spring has arrived in Vermont. The snow is finally melted, most sugar makers have stopped boiling and daffodils, crocus and tulips are starting to bloom. The race course is in great shape. 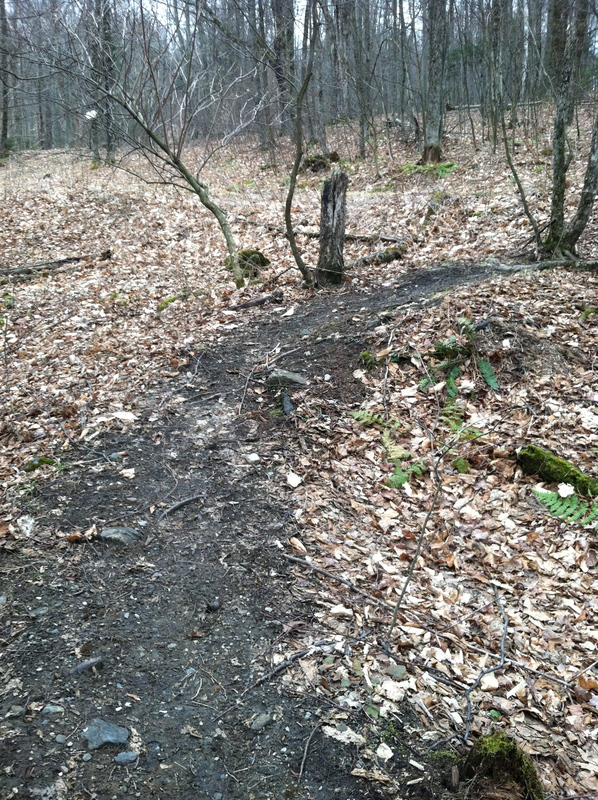 Current trail surface is mainly dry with a couple sections of mud. The mud is in the same locations as last year. These wet sections of trail are mainly between mile 1 and 3. In keeping with a European style mountain racing course we have increased drainage in these areas, but they are still quite muddy and wet! The photos in the header at the top of this webpage are a great visual of the mud turn just before the 1 mile mark. Last year’s course photos and detailed course description give a good outline of the race course. 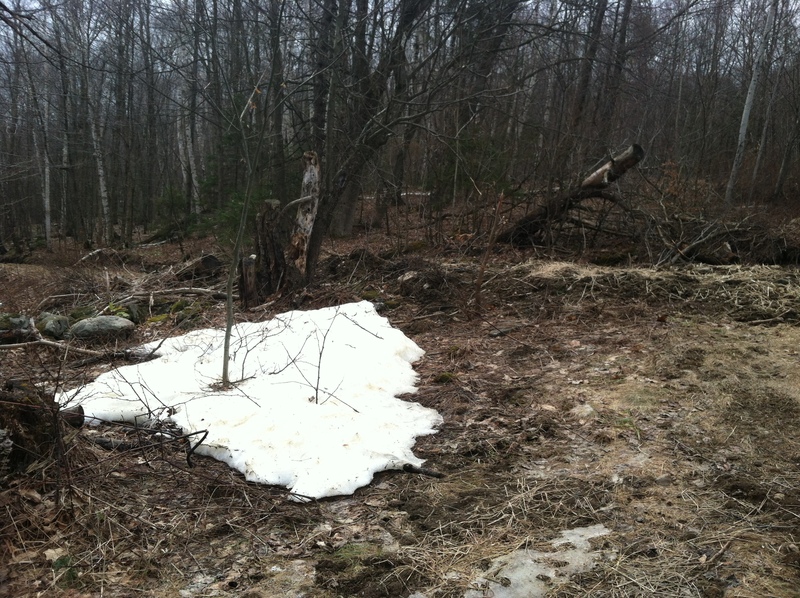 Snow on a north facing slope near the finish line in Molly’s Meadow. Photo taken April 19 and all the snow is melted now. 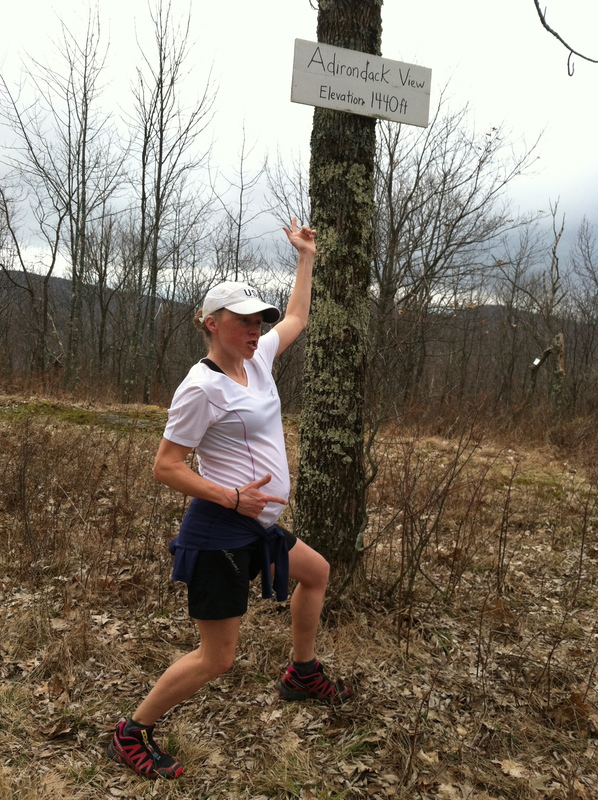 Kasie points out the the KOM/High Point Preme location at the Adirondack View sign- 1408 ft. The race course goes through wide open Liberty Meadow on it’s way to the low elevation point of the race just before the 2 mile mark. 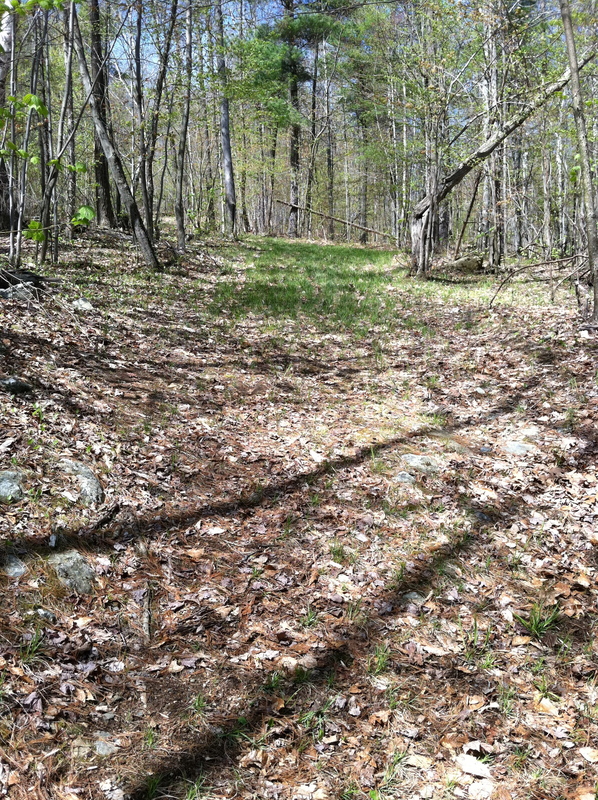 The steady uphill after the 2 mile mark is a wide trail covered with lots of low grass and some leaves. There is a short section of single track on the downhill just after the 1 mile mark.